“After being the 1st listed company in the ‘Market Research’ industry; we are delighted to be the 1st to file for an FPO on the BSE SME Platform. We are look forward to continue to reward our stakeholders going forward”, commented Raj Sharma, Chairman of MRSSINDIA.com. 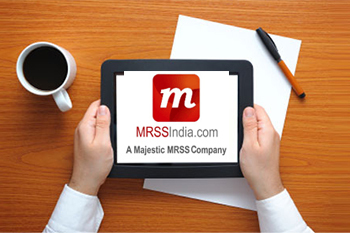 MRSS India, India’s 1st & Only Listed Market Research Company has filed a Draft Red Herring Prospectus dated September 1, 2016 (“DRHP”) with the Securities and Exchange Board of India (“SEBI”) for raising up to Rs.100 million through Further Public Offering (FPO) of equity shares subject to requisite approvals, market conditions and other considerations. Pantomath Capital Advisors (P) Ltd., a Category I Merchant Banker is the Book Running Lead Manager to the Issue. “We are pleased to have filed the first ever FPO (further public offering) in SME Capital Market. Our heartfelt compliments to MRSS India for taking this step. MRSS India has created many firsts in capital market and this is another milestone. We wish MRSS a grand success in this endeavor”, Mahavir Lunawat, Managing Director, Pantomath Capital Advisors, Merchant Bankers, remarked.